"Our idea of India is different from the BJP's. Mr Rahul Gandhi called upon India's youth to defend our idea of India, and I am sure the young will respond," Mr Chidambaram tweeted. 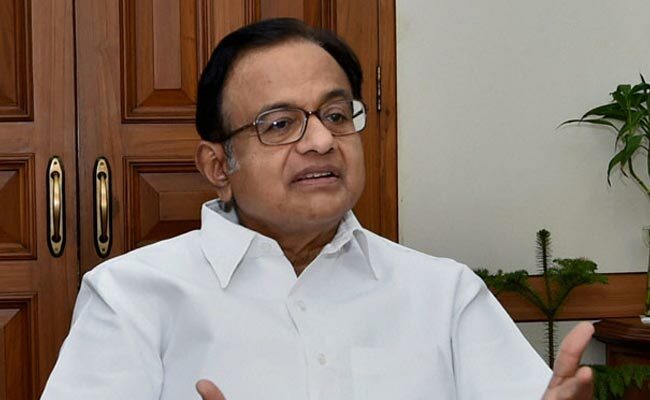 New Delhi: Former Union minister P Chidambaram has said that the Congress will create an alternative narrative based on fairness, equal opportunity and jobs for the youth under the leadership of new party chief Rahul Gandhi. In a series of tweets, Mr Chidambaram said Mr Gandhi's inaugural speech yesterday laid down the contours of an alternative narrative that the Congress will put forward before the people. "The Congress will build an alternative narrative based on fairness, equal opportunity, jobs for the youth, and lifting 250 million people out of poverty," he said. Congress will build an alternative narrative based on fairness, equal opportunity, jobs for the youth, and lifting 250 million people out of poverty. The senior Congress leader said that his party's recall of India's history was different from the BJP's. Our recall of India's history is different from the BJP's. Our idea of India is different from the BJP's. Mr Rahul Gandhi called upon India's youth to defend our idea of India, and I am sure the young will respond. In his first speech to party workers after his formal takeover yesterday, Mr Gandhi set the tone of its future course and how the party would take on its arch-rival BJP, saying the Congress was for inclusive politics and that it respects all Indians that extends even to the ruling party. His party, the new Congress president said, brought India into the 21st century and alleged that Prime Minister Narendra Modi was taking India back to the "medieval times".